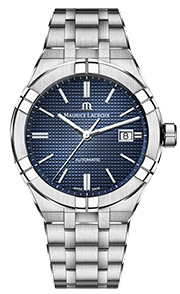 Hewn in steel, the Masterpiece Lune Retrograde is a subtle fusion of contemporary spirit and experienced craftsmanship. 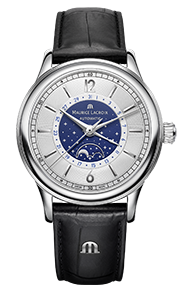 Presenting two complications held in great esteem by Maurice Lacroix, the Masterpiece Lune Retrograde opts to capture time in a 43 mm diameter case, thus renewing its links with a more traditional size. 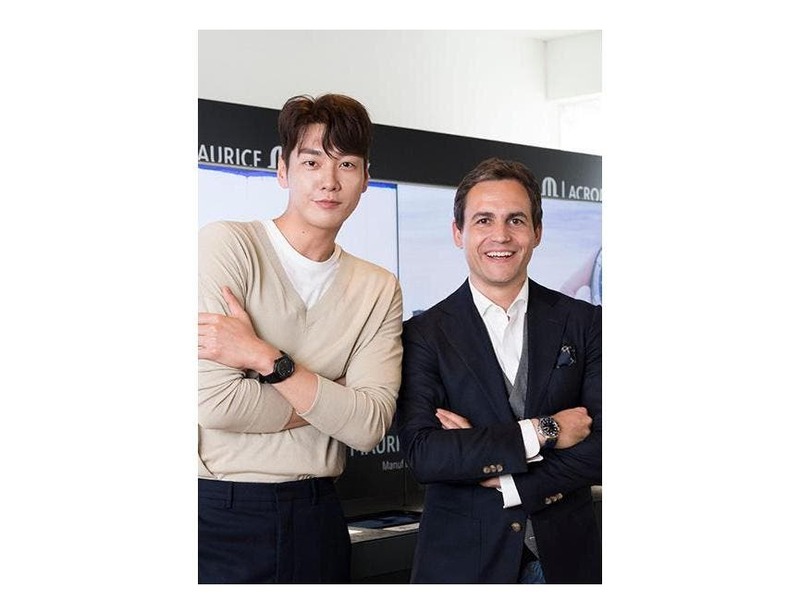 Water resistant to 50 meters, it alternates satin and polished finishes without ostentation, displaying its craftsmanship with impressive clarity. 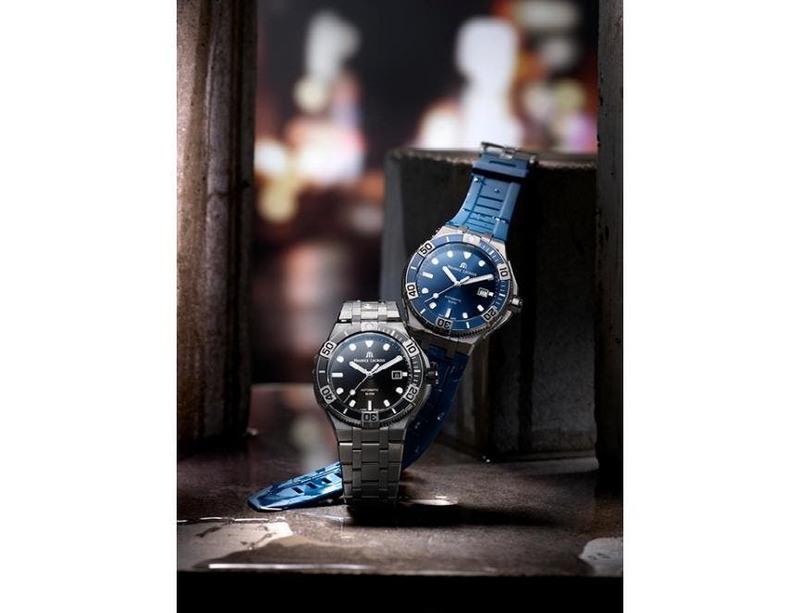 A deep sense of authenticity springs from its blue dial, imbuing time with unquestionable maturity. 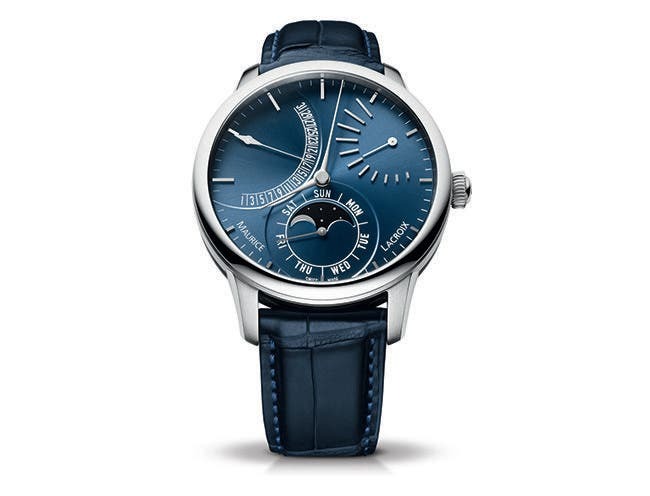 The slightly raised time markers – subtle despite their high-tech engineering – are emphasized by the satin sunburst finish of the dial whose royal blue testifies to the nobility of their craftsmanship. Encircled by a hand display marking the days of the week, the moon asserts itself at 6 o'clock. It turns on a black disk in striking chiaroscuro, as if the skies themselves were within reach. 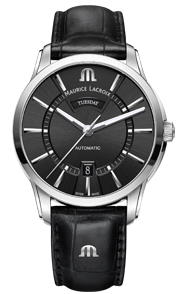 The calendar is housed at 10 o'clock in a wide retrograde arch, while the power reserve is dynamically displayed at 2 o'clock. Enhanced by a crescent of appliqué hour markers that gradually fan out, it evokes a real sense of movement. The hours and minutes adopt the traditional central position so as not to disturb the almost architectural balance of the piece. 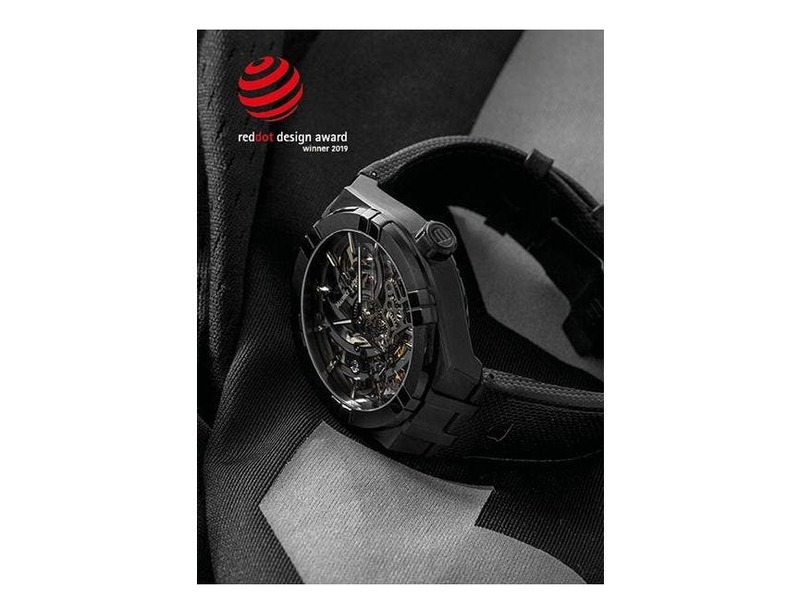 In a striking play of light, their slender hands are graced with a diamond finish enhanced still further by a slight curve, an additional detail that ensures complete legibility. 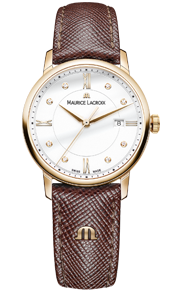 The self-winding ML 192 movement, manufactured entirely in-house, bears the stamp of the highest Swiss watchmaking traditions. 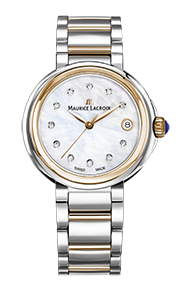 Its workings, down to the smallest component, are revealed by the sapphire crystal case, while its brushed vertical and Grand Colimaçon finishes reflect the light down to the jewels themselves. The new Masterpiece Lune Rétrograde comes with an optional leather strap and is available with dials in slate and silver/gold two-tone. 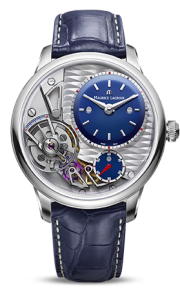 Its particularly competitive position on the market for manufacture watches confirms the desire of Maurice Lacroix to expand its range while remaining ever-attentive to the expectations of a demanding public.